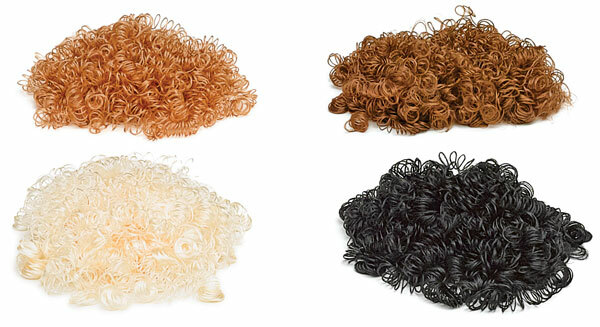 Curly craft hair is a great addition to masks, puppets, dolls, or mixed-media collage projects. The synthetic hair has ½" curls and comes in four basic hair colors — Blonde, Red, Brown, and Black. Mix-and-match to create highlights and other fun effects! Each package contains 4 oz of craft hair.